Bug and Weed MART carries all the products and equipment you need if you have a pest problem or weeds that need to be eliminated. You can confidently take control of all your pest and weed problems with Bug & Weed MART’s state-of-the-art, EPA-registered, professional weed and pest control products. We only offer the highest quality products – all used by industry professionals – and firmly stand behind our supplies and excellent customer service. 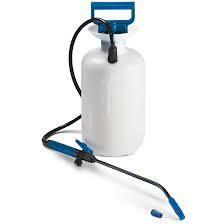 To perform your own pest or weed control, all you need is a simple “pump-up” sprayer. If you are not sure whether your sprayer will work – or if it’s not working – bring it in for our staff to look at and test. We’ll make sure that your sprayer performs its best and grease it up for you for free! We carry a great selection of sprayers, from one-half gallon to more than 25 gallons, and we carry all the parts for the sprayers we sell. Many of our sprayers have been working well for 20 and 30 years or more. We carry all the products you need to do it yourself. Whether you have ants, bed bugs, cockroaches, scorpions, termites, weeds, nutgrass, or other pests, we can help you eliminate what’s bugging you. Going beyond what our competition offers, we give you thorough, personalized instruction. Each of our experienced store managers is a Certified Applicator who will take the time to make sure you know exactly what to do and how to do it. We carry bed bug mattress protectors, dusters, hose-end sprayers, back-pack sprayers, granulators, black lights, gopher probes, dust masks, gloves, and more. We will also tell you how to safely store the products and supplies you buy. You can count on us to always carry products that not only work, but are safe for your family and pets – including natural, organic, and eco-friendly choices. From glue traps to bird spikes to pyrethrums, we have many organic natural pest control products. There are many steps you can take now to eliminate weeds and pests without buying a thing, too. We have detailed things you can do to control pests and weeds naturally. We carry everything you need to do your own pest and weed control. Come into any of our Bug & Weed MART locations six days a week.